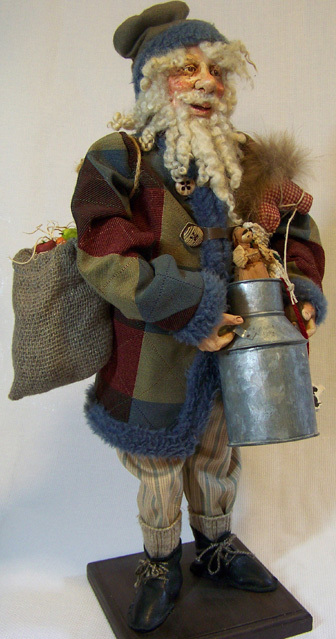 Detailed Santa bringing gifts in his potato sack and milk tin. This Santa brings gifts in his potato sack and milk tin. Bringing Christmas cheer into any farm home! 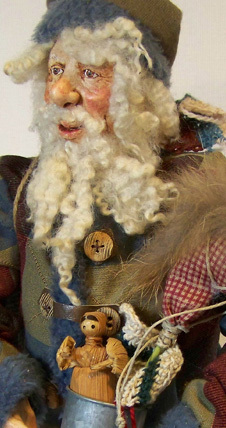 Original hand sculpted Santa with custom made clothing.